This afternoon, I went to a blogger's event organized by Nomnonclub.com and Red Ribbon where they launched their special Valentine's Day Cake, Roses and Kisses. Together with other bloggers, we got a preview of their cake which can now be ordered (February 1-9, 2010). Orders made during this period can have their cakes personalized, meaning, the name of the recipient and the giver can be placed (up to 14 characters). 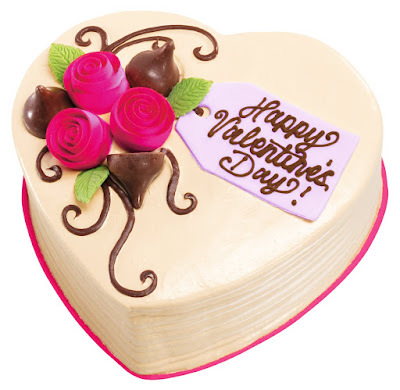 The cake ordered will be available on February 12-14, 2010. 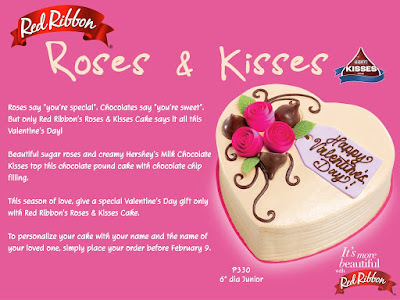 Roses and Kisses, the Valentine's Day Cake from Red Ribbon is a heart-shaped cake that has sugar roses, creamy Hershey's Milk Chocolate Kisses and a chocolate pound cake with chocolate chip filling. It is a perfect Valentine's Day gift that is so sweet, you'd forget to about term insurance quote concerns. 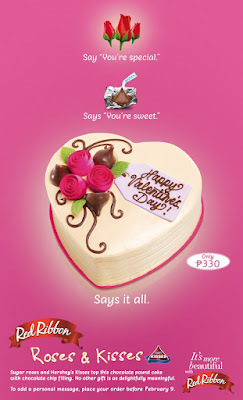 Red Ribbon's Valentine Day Cake is available in one size and costs only P330 in all Red Ribbon shops.